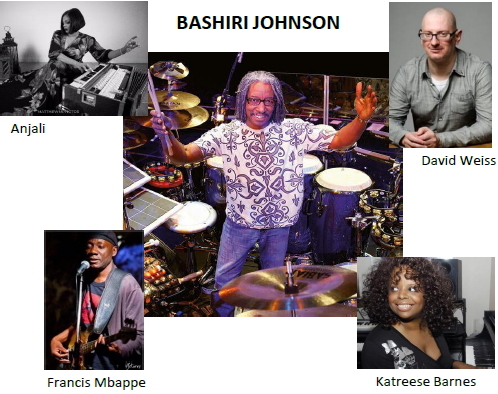 NYC based Percussion Artist Bashiri Johnson (Sting, Michael Jackson, Whitney, Beyoncé, Madonna) together with a team of artists will conduct an informative and engaging Master Class/Clinic about his experiences workng with legendary artists of popular music and media. Bashiri will share his rhythmic approach and how he became one of the most visible and recorded Percussionists on the planet. Bashiri explains how proven strategies, attitudes and work habits can be employed by anyone. Bashiri shares the cultural and clinical significance of the drum and percussion.